Bright enough to stand on its own, but bold enough to punch through milk. All of our decaf coffees are made using the Mountain Water Process. 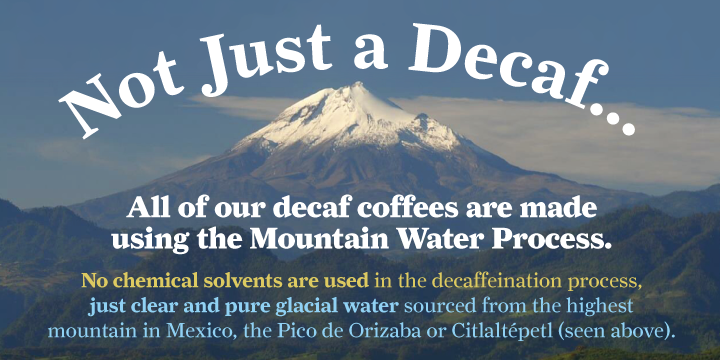 No chemical solvents are used in the decaffeination process, just clear and pure glacial water sourced from the highest mountain in Mexico, the Pico de Orizaba or Citlaltépetl. 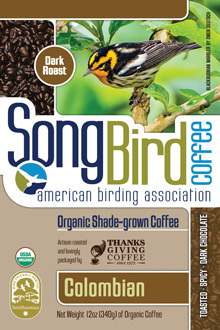 Migrating songbirds need a place to rest on their long journeys and shade-grown coffee is one way to ensure that their precious habitats are being preserved. 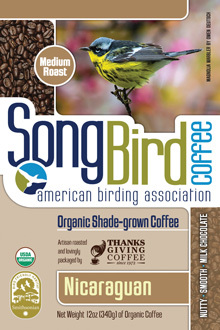 This coffee comes from the Sierra and La Frailesca regions in Chiapas, Mexico, which is a part of the Mesoamerican rainforest, a corridor that stretches from Panama to Belize. 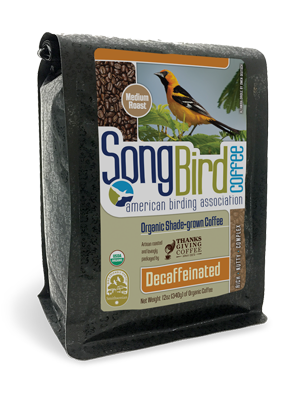 Bird Friendly and Organic Decaffeinated coffee. 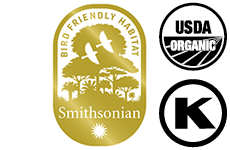 Available in Whole Bean or Ground: auto drip, french press, espresso or percolator. From Carol Schaffer of San Pablo, California on 11/2/2015 . I saw this once in a grocery a couple of years ago and bought it and since then I'm hooked. 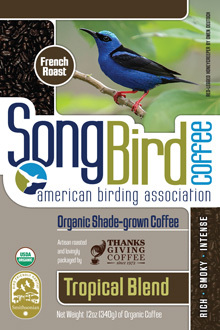 Delicious coffee and good for wildlife too.